This flowering tree pendant looks like it was plucked right out of our painting this month. 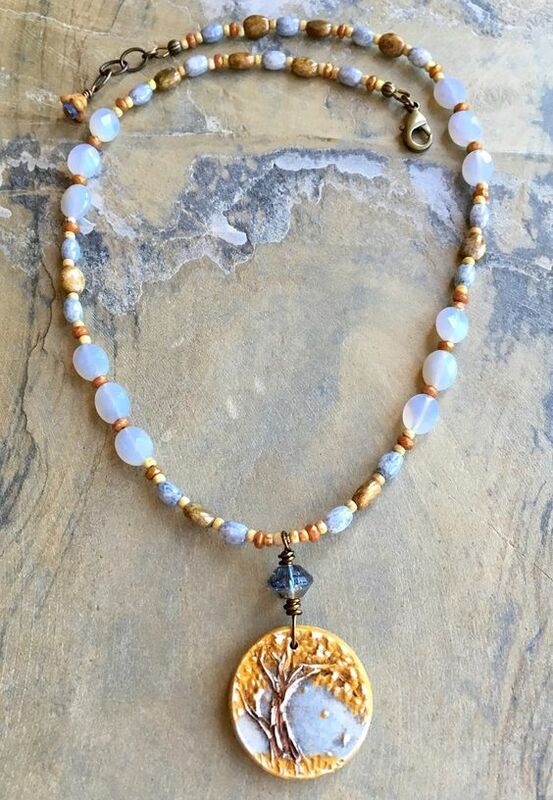 While I love birds and nests, I also love that this tree is in full radiant bloom and is the focal in this pretty necklace. Those soft milky blue beads feel like fluffy clouds on a breezy spring day. Ahhh....Spring! Come quick! Just three more days! We are now using Pinterest! 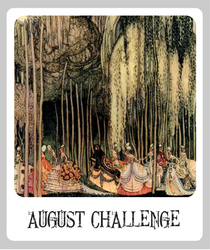 including a board devoted to art beads inspired by the monthly challenge! so that I have someplace to attribute the picture! And don't forget to tell us about those art beads - providing links to bead makers is appreciated! Deadline March 29th to get your pictures posted to the Pinterest boards for the creation of the Monthly Challenge Recap post for March 31st. TIP: If you upload your photo rather than pin it from your blog or shop, edit the pin (the little pencil button) and add your link as the source. Save your edits. This will allow us to click directly on your photo and go to your blog or shop to read more about your entry. If you don't, I might not be able to access the photo to share it. This necklace captures the essence of this month's challenge beautifully. Inspiring! I agree I love the milky beads they reflect a clear sky and all the colors in it Great Job!! What a pretty necklace!! I love that pendant too! !